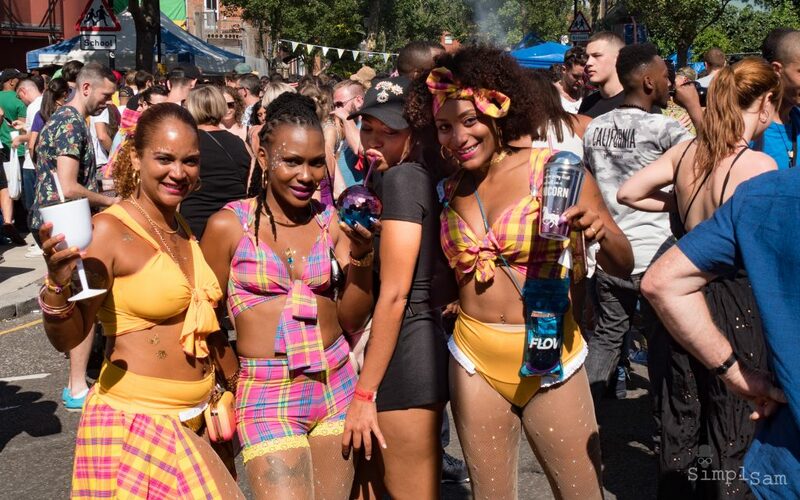 We give you the ultimate lowdown on the who, what, why, when and where to help guide you to your perfect summer festival destination. 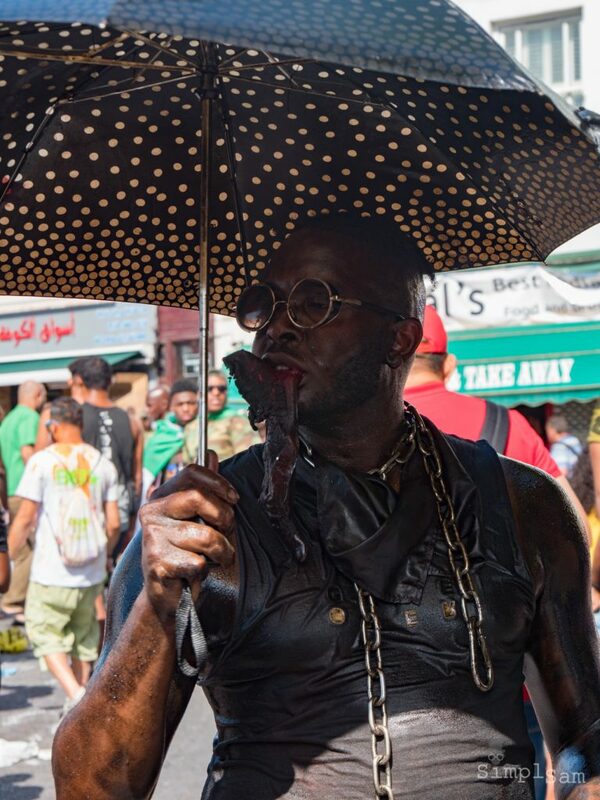 “Carnival is for everyone” — the young and the old, the brave and the bold. 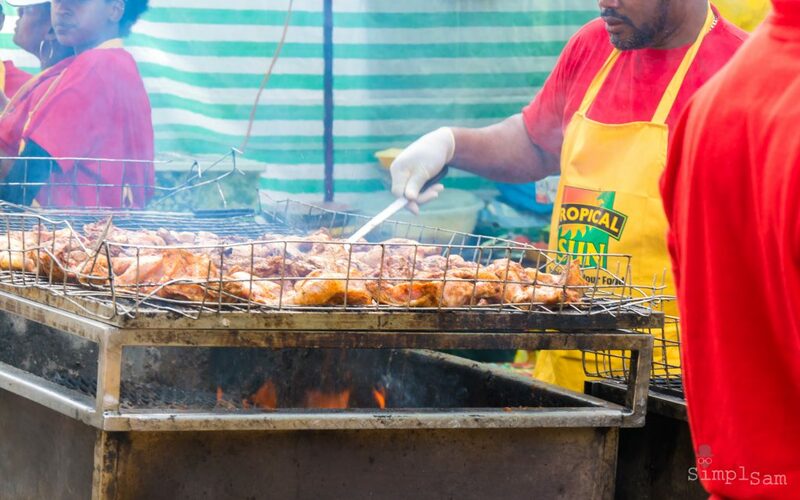 It isn’t called Europe’s biggest street festival – for no reason. 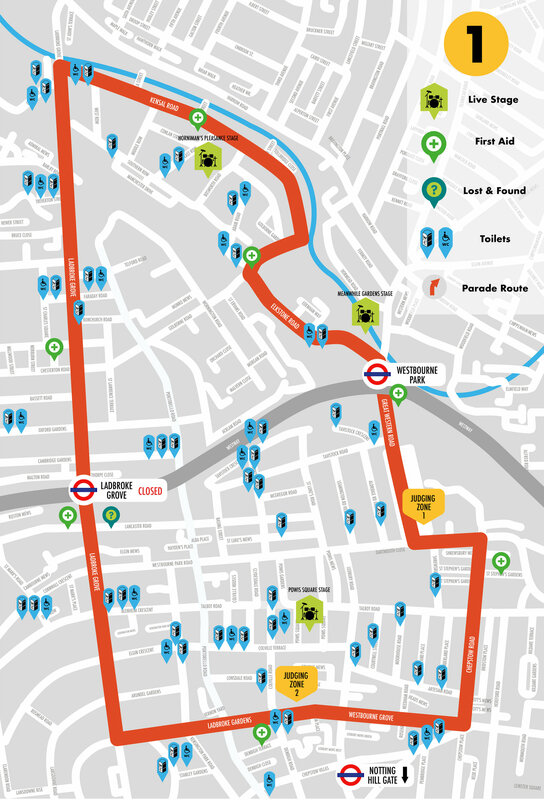 The area is populated by the busting Portobello Market and a slew of pop-up stalls, shops, pubs, parks and street entertainment. 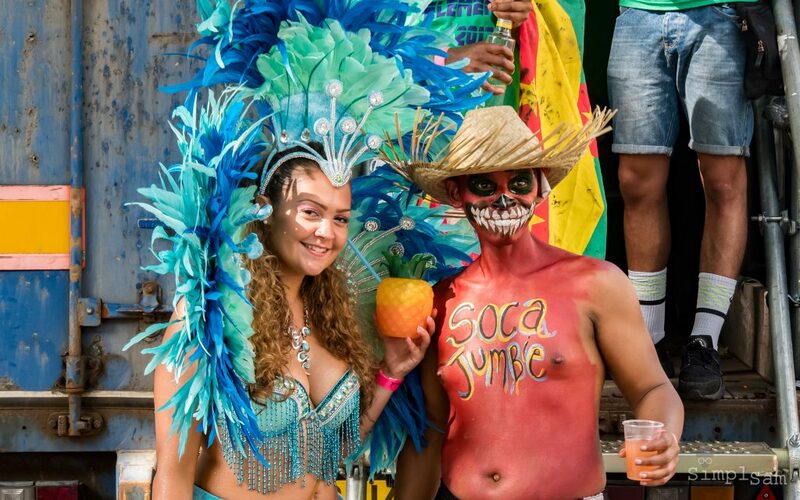 Today it is the premier one-stop party destination, with over 2 million party revellers expected to attend the festivities. 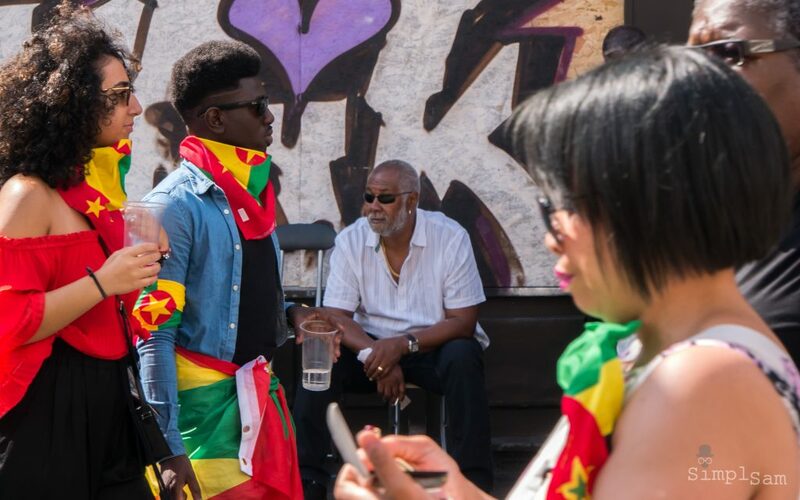 DJ’s, Bands, Singers and Performers will entertain the crowds with Calypso, Soca, Rap, Reggae, Blues, Soul and modern popular Dance music. Notwithstanding the members of the public (and body-popping Police) who are often the best entertainment. 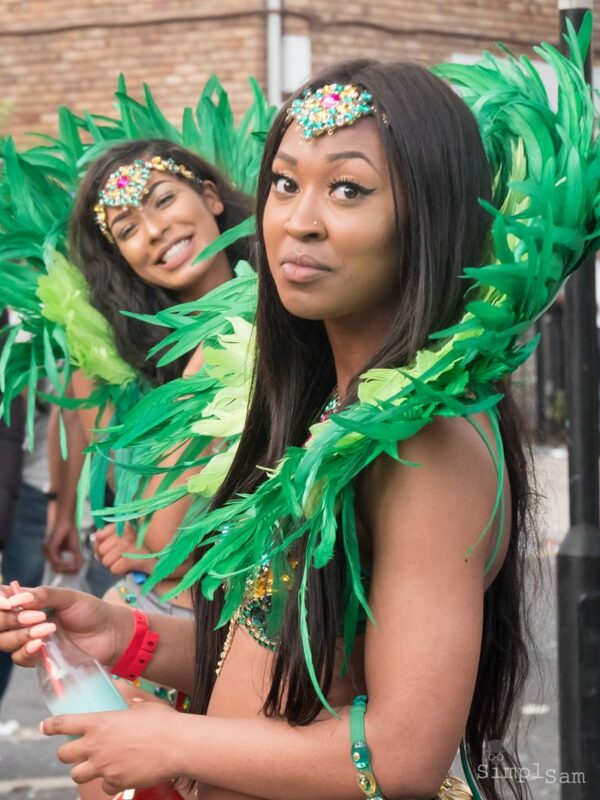 So, When is the London Notting Hill Carnival? 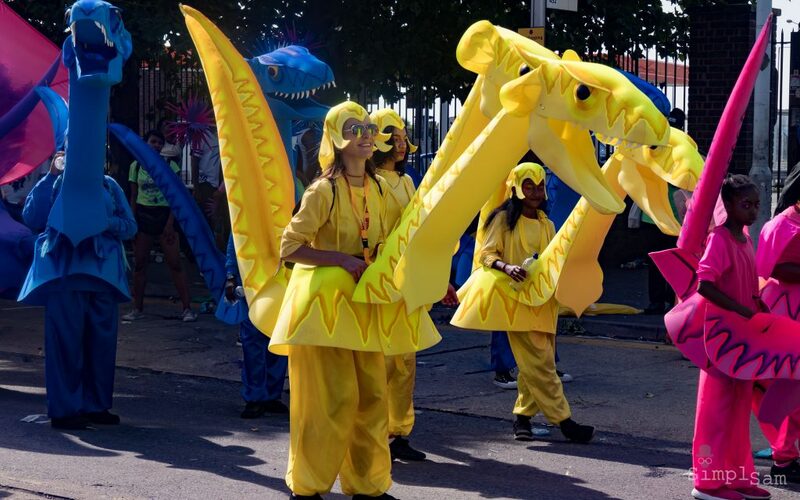 This years 2018 programme sees another 3 day event, with carnival events taking place over the bank holiday weekend of the 25th, 26th and 27th of August 2018. 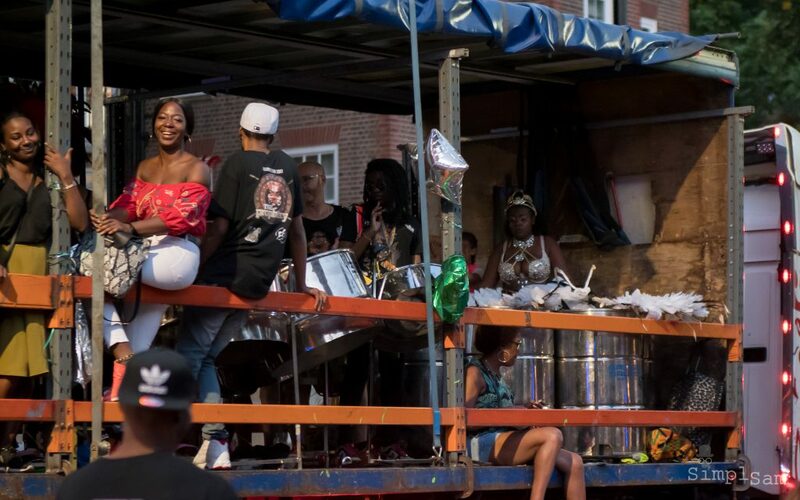 Panorama is a steel band playing competition – which takes place between the hours of 7pm and 10pm BST. The free £5 entry open air competition event is held in Emslie Horniman Pleasance park, Bosworth Road, W10. The Children’s Sunday Parade / Family Day is a ‘slightly’ quieter affair than the Monday. But don’t be fooled into think that it will be quiet. It is still very busy & bustling, but with a slightly more considerate crowd. 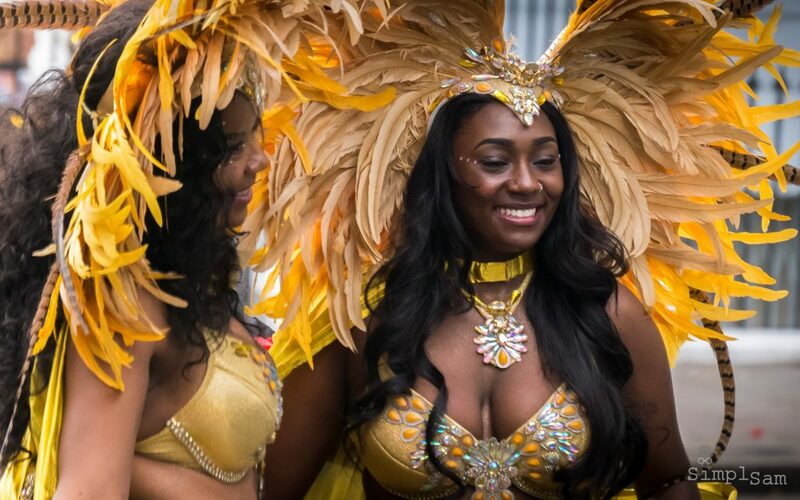 There are many floats and processions with booming sound systems and a plethora of splendiferous colourful costume displays. 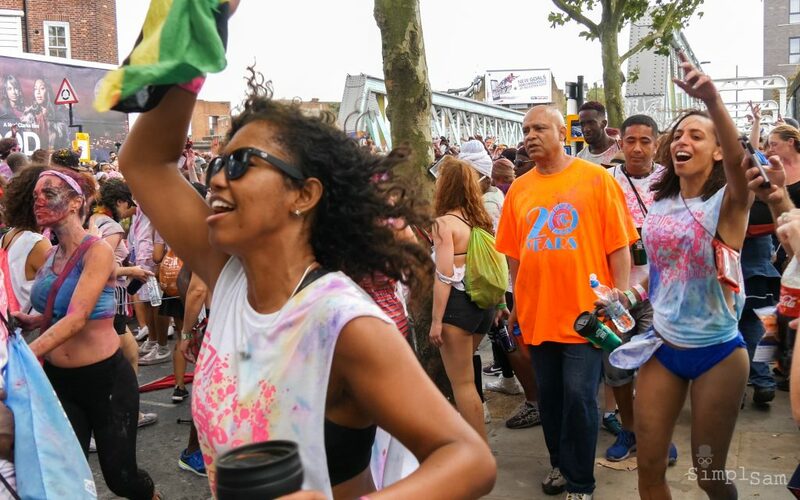 J’Ouvert is a tradition throughout parts of the Caribbean, where participants (also known as “Jab Jabs”) wear chains and smear paint, mud & oil on their bodies and throw powdered & liquid paints at each other. 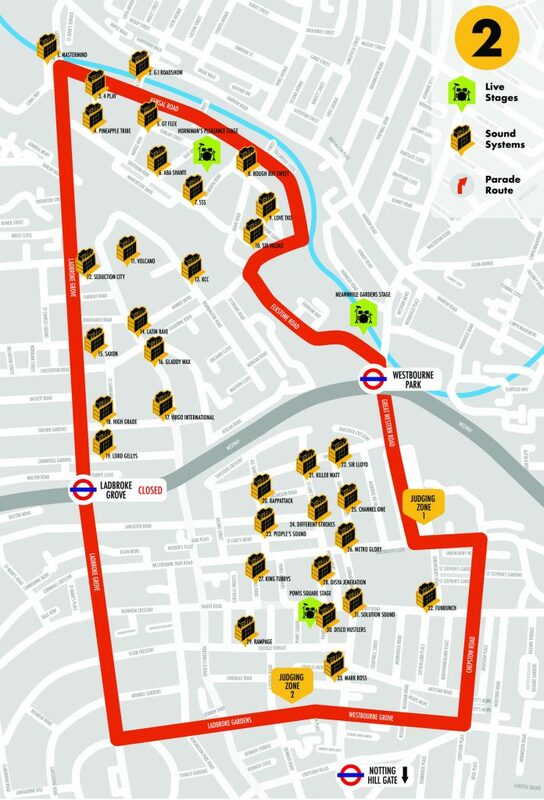 The activities start at 6am (yes – nice and early) on Sunday morning at Canal Way (Ladbroke Grove W10) and culminate at 9am – before the main processions begin at 10am. 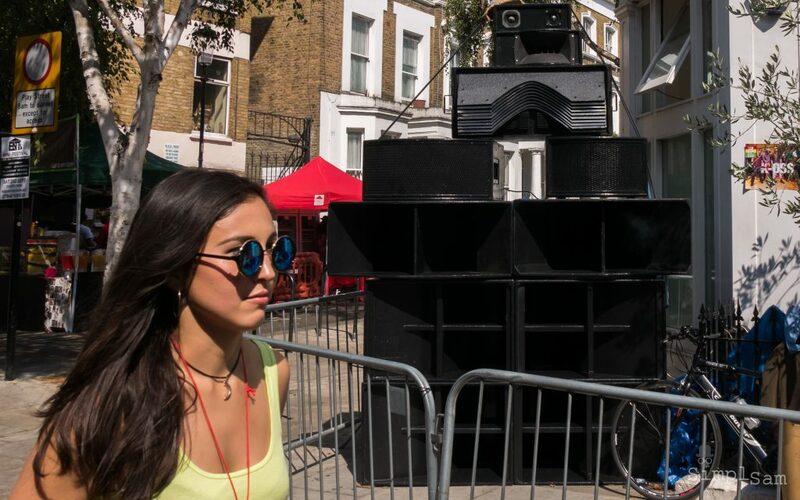 During the main carnival event (10am – 8:30pm) – Live music can also be enjoyed at Powis Square and in Emslie Horniman’s Pleasance park. If you thought Sunday was gonna be busy (and it will be) — then be prepared for playing sardines on Bank Holiday Monday. 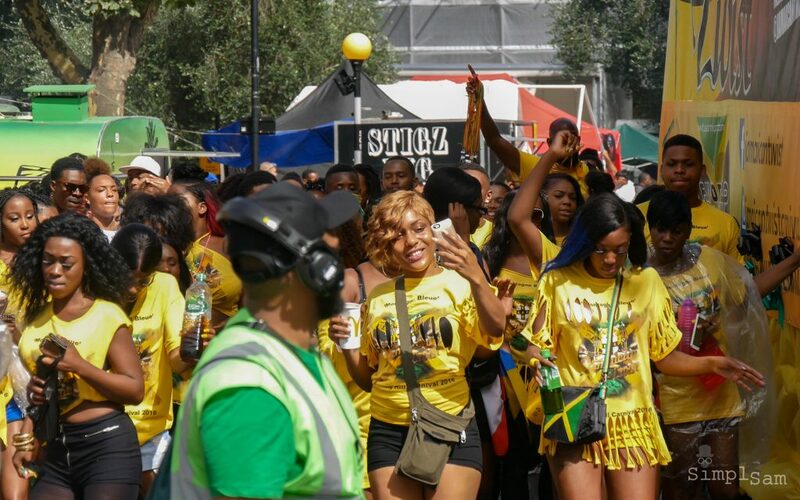 The Carnival will get busy with millions of visitors expected to descend on West London over the 3 days of events.